Author Mark Chinn, an attorney specializing in family law since 1988, notes in his book, How to Build and Manage a Family Law Practice, that family law is “one of the most unique and challenging specialties in law” because practitioners are required to know more than just the law; they must be litigators, accountants, and psychologists. He doesn’t say this to dissuade lawyers from taking on this specialty but rather to remind them how special and how personal this area of law is. Drawing on his own experience in starting a family law practice, Chinn encourages lawyers who are seeking to specialize in family law to set aside any fears and make the jump. 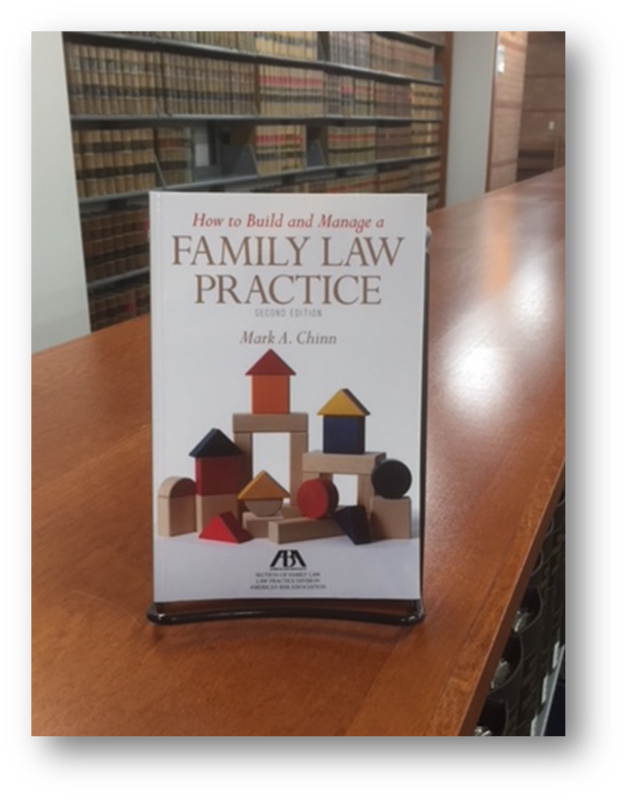 To help those who are willing to take that leap, Chinn offers some practical advice about establishing a family law practice. He guides the reader through the initial tasks of starting out: dealing with the tangible items, i.e. location choice, furniture, equipment; establishing procedures for day-to-day and regular operations and customer service; marketing; and making decisions regarding staffing. He then moves onto the practicalities of maintaining and managing a law practice: fees and billing and managing cases, time, and finances. When it comes to client relations, Chinn, however, takes a different tack. He discusses how to deal with clients from initial intake through trial preparation and addresses how to interact with them, stressing throughout that in many family law cases, the level of emotion involved increases, thereby making client interactions a bit more challenging and perhaps requiring a bit more counseling on the part of the lawyer. He also devotes a chapter to service and suggests ways for lawyers to become more service-oriented rather than results-oriented. Lastly, Chinn reminds lawyers that to be able to do one’s best, one must be healthy in mind, body, and spirit. If you are considering a family law practice or even your own legal practice, consult How to Build and Manage a Family Law Practice first for some solid advice.